Direct from the king maker of millionaires, Dr. Napoleon Hill’s most influential success classic of all time. Published around the world, this book has become an undisputed classic in the field of motivational literature. Think and Grow Rich is the result of more than 20 years of study and research on more than 500 successful men, most of whom have created history and left a legacy for us. Its ideas are as vital, as fresh and powerful today as they were when Hill first collected them. This book has been cited by many as the “calling card” that propelled countless numbers to fame and fortune, and is the standard against which all other motivational material is measured. 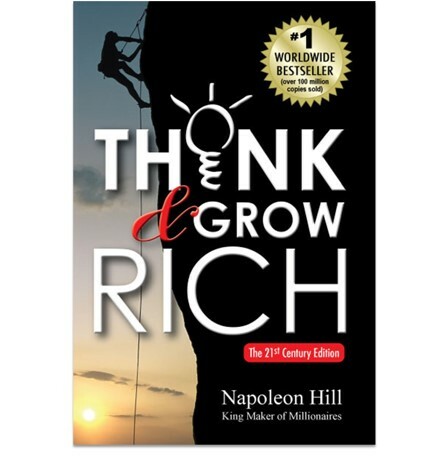 Think and Grow Rich has single-handedly changed the lives of millions of men, women and young adults and has left a legacy of achievement that includes many of today’s and yesterday’s leaders in business, government and civic organizations. Category: Books. Tag: Think and Grow Rich 21st Ed.